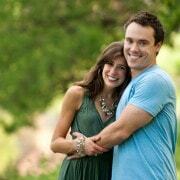 Today’s “a day in the life” feature is the oh-so-talented Rachel of Baked by Rachel. Rachel consistently churns out fabulous food and gorgeous photos. She’s a great blogger and a great Twitter friend. I always go to her with my “mom problems.” Whether it be temper tantrums, potty training, feeding–she always has great advice. Hi! I’m Rachel of Baked by Rachel. I’m a born and raised New Englander, a transplant to New Hampshire, where I live with my husband and our three young children. I’ve always loved cooking and playing with food, or stealing a spoonful of cookie dough when no one was looking. I never considered a career or hobby in food of any kind until one day I found myself wanting a place to share my recipes with family and friends. It’s grown into something so much more than I could have ever imagined. The lighter side of me: I’m a bacon, cheese, potato and sweets loving girl…but please don’t mix my sweet and salty treats. You’ll never get me to eat tomatoes. I’m always on the hunt for a great new book. If you have a suggestion, I’d love to hear it! 7-8am Wake up. It totally depends on the day. I’m trying to enjoy or lazy days as long as they last. Once we’re all up our normal morning routine starts before we head downstairs. This is also the time I finally put away clean clothes if they’re still (very likely) sitting in the basket. 8:30 Breakfast, catching up on e-mails, twitter, morning blogging routine if it was a post day. 9am We’re either out running errands, playing or snuggling. Until this week, catching up on the Olympics was big on our list. 12-1 Lunch! This is assuming that my lil man hasn’t taken a late morning nap and pushed lunch back. It happens. 1-3pm cleaning, playing and prepping recipes all while listening to music and watching my girls dance around the house… Or fight because, let’s be real, kids only get along maybe 50% of the time and not always when you want them to. 3pm Quiet time! My youngest two are napping at this time so I’m able to get in some writing, editing photos or catching up on my favorite blogs. 9-930pm bedtime. It keeps getting earlier and earlier. I swear by next year I’ll be going to bed at 7. Once everyone is tucked in and quiet, I like to get some reading in. It’s the only truly quiet time of the entire day. What is your one must-have kitchen tool or gadget? That’s a hard one but I’d probably have to say my knives. I only have a few really good ones but I use them more than any other tool in my kitchen. What is the most important part of your day? Why? Naptime! The 2-3 hour stretch in the afternoon where I can count on quiet. I need that time for my sanity ;) Plus it means happy kids in the evening. This really depends on the day and what we’re doing but I love when I’m able to play in the kitchen. It’s my creative time so I usually have music playing and a big mess scattered throughout the kitchen. Whatever day or time laundry and toilet cleaning is. I’d like to avoid both of those when humanly possible. We have so many ideas always brewing. As much as it’d be fun to redo our kitchen or even our too tiny of a master bath, I can’t wait until we finish the attic. It’s just a giant open space right now and has SO many possibilities. We’ve talked about ideas from a huge master suit to an office and a game room or a theater. I’m not sure how we’ll narrow it down when the time comes way down the road. If you had to choose one place to travel to every year over and over, where would it be? Why? Have you been there before? I’d love to island hop in the Caribbean. I’ve only been to Aruba but it was amazing. I’d definitely tour Europe for at least a month. I’ve never been so there are a ton of places I’d love to see. More time would mean less rushing and more ability to just enjoy everything. 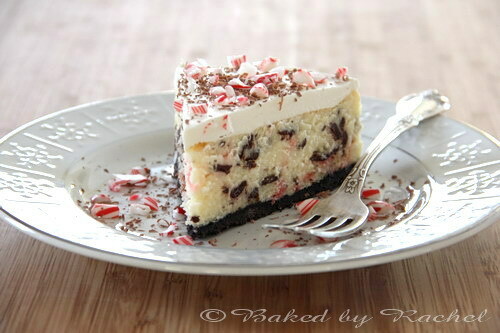 To date it’s my peppermint bark cheesecake which was inspired by The Cheesecake Factory’s version. It took a lot of planning so I was and still am thrilled with the results. 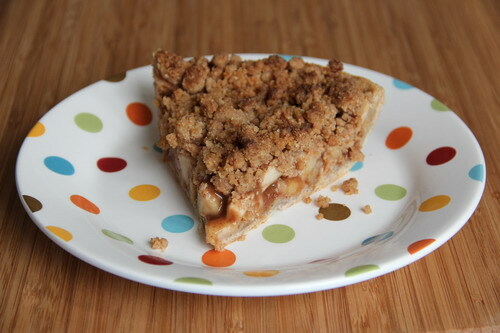 Two reader favorites have been my apple crumb pie (below) and my snowflake peppermint bark (above). What have you learned since you began blogging? The food blogging community is like family. I’ve made so many amazing new friends since starting. It’s extremely time consuming the more you get into it. Plus, I never anticipated having to deal with theft issues. It’s such a sad and frustrating experience. Thanks Rachel! That cheesecake is definitely going to make an appearance around our house during the holidays. Oh wait, that’s when I’m having a baby. Who wants to make it for me? 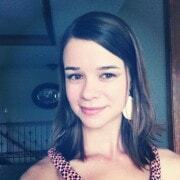 You can also find Rachel on Facebook, Twitter and Pinterest. If I lived close enough I’d make that cheesecake for you. I have been wanting to make it for months and months but keep waiting it out for December. Looks amazing. this feature is always so fun, and I love Rachel! Great choice! :) Happy Weekend! I go to Rachel for a lot of parenting/pregnancy questions too! And I’m neither! Haha, i just like building up my knowledge and I love her real life experience with her 3 precious ones! I’m glad you featured her, it’s always fun to read what a busy mom has going on in her life and how she balances out blogging and parenting! 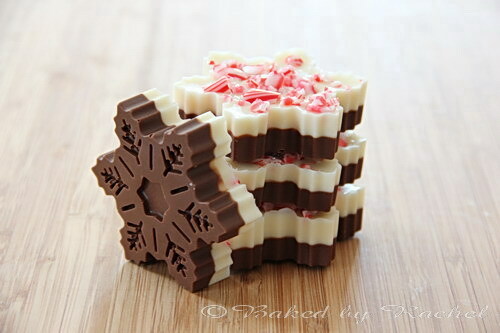 Oh that peppermint bark looks amazing. This is a staple at every Christmas but those are beautiful! 3 kids sleeping until 7-8? Can you come teach my kid how to sleep!!! Big fan of Rachels, great interview. I want that peppermint bark!! Now. Faster. Super Mom!! Now I want cheesecake. And chocolate. Great feature on Rachel! 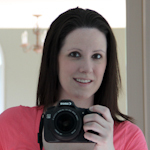 I am continually impressed by all that she does with her blog on top of raising her 3 kids!